The first Praxis Olympic Weightlifting Center was opened in 2008 by 2-time Masters World Champion and 4-time Masters National Champion Debbie Millet. Praxis is the longest-running weightlifting program in the state of Utah and has a national reputation for being run with integrity, professionalism and experience. The face of Praxis has changed over the years to meet the needs of the weightlifting community in Utah. 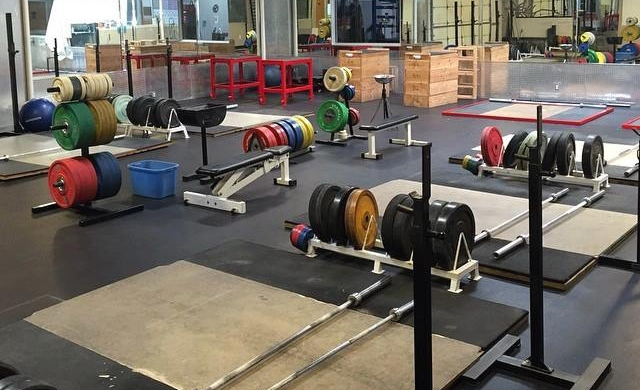 Currently, Praxis Weightlifting LLC offers a training facility based on approval, located in West Valley City. This is a privately owned facility and run by Praxis Coach Quint Sudbury with support of Coach Debbie Millet. If you are interested in joining the gym, please contact us. Praxis Weightlifting LLC offers USAW coaching clinics, beginner class instruction, private training and local competitions at our West Valley City location. Praxis Weightlifting LLC also serves athletes from around the country and throughout Utah through online programming and remote coaching instruction who compete in Olympic weightlifting on the local, national, and international level. Praxis Weightlifting LLC offers program design for athletes of all levels. Team Praxis is the USAW sanctioned amateur club that includes athletes throughout the state of Utah and across the country. Team Praxis accepts athletes from beginner to elite weightlifters upon approval by Coach Debbie Millet. Membership is free and benefits include perfecting technique, athlete development, coaching at local, national and international events, and specific guidance on development to make an international team from experienced coach Debbie Millet. Some members may also train at the invitation of Coach Debbie Millet in her private atelier or specific workshop, in S. Jordan, Utah. Praxis has trained and contributed to the success of hundreds. Our athletes have traveled to us from Idaho, Logan, southern Utah, California, Texas and Colorado to perfect their weightlifting technique. We have a strong, steady, past with a reputation for being strict, critical, perfectionists. Praxis is pretty simple. We believe in training hard and smart. We take the Olympic lifts seriously. Join contact us if you have lofty goals and dedication. Debbie is a neuro-specialty speech language pathologist working with adults after brain injury and stroke in a trauma hospital. A former figure skater and dancer in school, she discovered the Olympic sport of weightlifting at age 38. Competing in the sport, she set records on the state level, won 4 Master’s National Championships, 2 Master’s World Championships, and competed at 2 Senior American Open competitions after the age of 40. She was sponsored by Weider and Proform and worked with Olympian Michael Cohen to develop a beginner weightlifting DVD program for use in the home. Debbie has been a tireless advocate for the sport both in the state of Utah and nationally. She developed the Utah weightlifting board of directors and served as the president of USAW’s Utah LWC (Local weightlifting committee) for 5 years. Debbie is a USAW National Coach and USAW coaching educator. She has helped develop coaches, teams, programs and individual athletes. She served as meet director and host for most Utah competitions for over a decade. She has since served as the meet director for the country’s most premier events; USAW Senior National Championships in 2014, USAW National University Championships in 2015, USAW Senior National Championships & Olympic Team Trials in 2016, Howard Cohen American Masters Championships 2018, USA Masters National Championships 2019, and USAW American Open Finals 2010. She was part of the Organizing Committee as the Field of Play Coordinator for the 2017 IWF World Championships in Anaheim, California. Her current projects include the development of athletes, the development of Utah coaches, the Utah High School weightlifting program, and continued work in bringing national and international events to Utah.